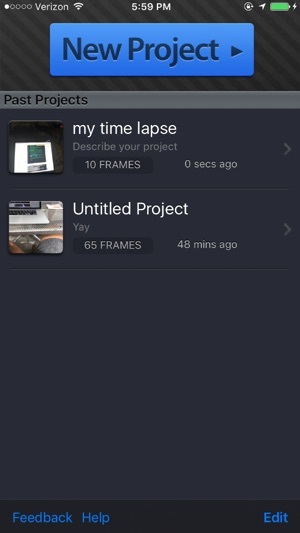 iTimeLapse - Create stunning time lapse and stop motion videos straight from your iPhone or iPad! 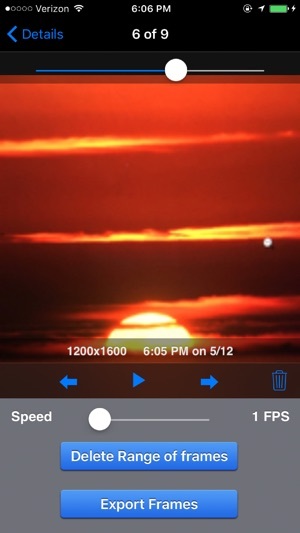 Finally, you can make and share Time Lapse videos like the pro's without having to sync to your computer. It's so easy, anyone can do it... be an artist! 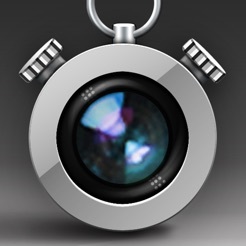 iTimeLapse lets you create as many sessions as you want, adding images to them at any time... No need to finish in one sitting. Then as soon as you're ready, you can compile the images into a video and share it in many ways: YouTube direct upload, Facebook, Vimeo, Email it, Export it to your Camera Roll so it syncs with iPhoto, USB transfer, or WiFi transfer too! 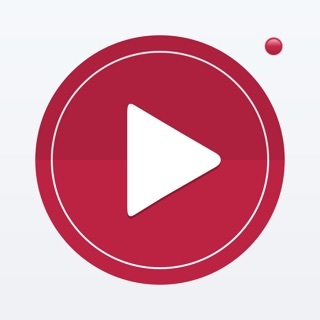 - iTimeLapse lets you add music tracks into you compiled video with one click. 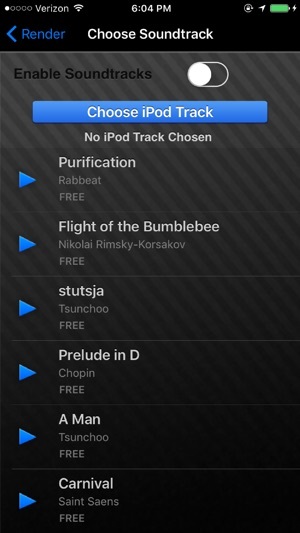 - and even included some classics like Chopin and Beethoven to add some emotion into your videos! 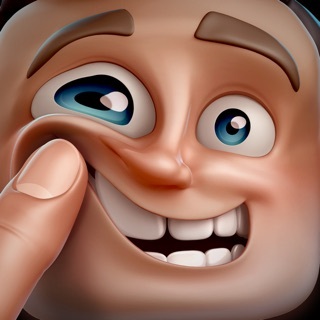 With the 'overlay last frame' feature, you can line up your next shot for awesome stop-motion animation! 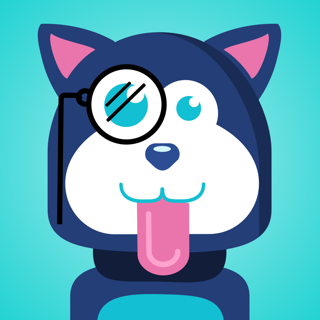 - Edit individual frames: capture a bad image and want to delete it? no problem! 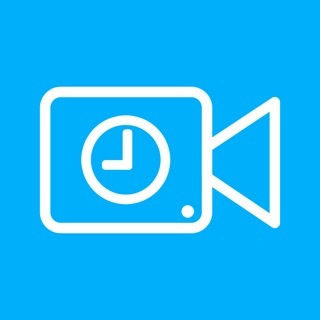 - Add a time stamp to each frame in your video - just like a real security camera, you can see what time each frame was captured, great for sound capture mode. 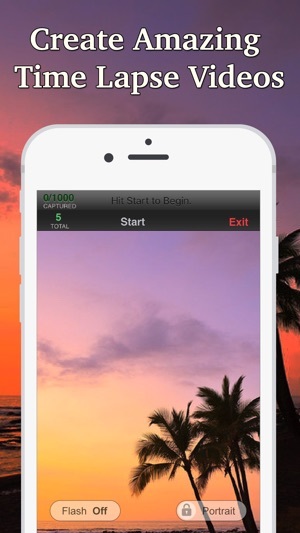 - Render your video at different frame rates and resolutions. 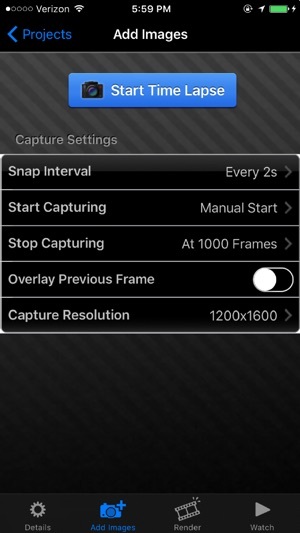 - Capture frames at any resolution, over any time interval, set start date, end date, plus lots of other options. Sadly this app crashes after just 100 to 200 frames, I've tried different settings but is always crashes. Contacted the developer and even then enough time but they don't respond. Waste of money. 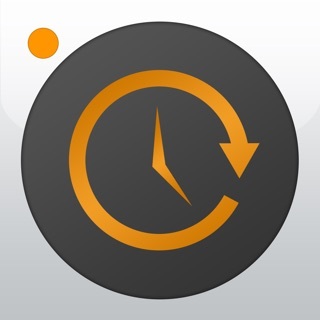 This app is great I have always fancied making time lapse films but never had equipment . The only thing that would improve it is if you could lock the screen and it would still take timer photos. As it is you have to leave the screen on and it eats battery life. I wanted to record sunrise this morning, so I went to bed at 11 and set the timer to start taking pictures after four hours. I left it plugged in to keep it charged. However when I returned to it this morning the screen was locked and no pictures had been taken. I think that the beep signalling "full charge" must have interrupted it and caused it to lock? So if you can't leave it plugged in but you must leave screen on it limits medium term projects. Short ones the battery will last, long term ones you can just take pictures manually. 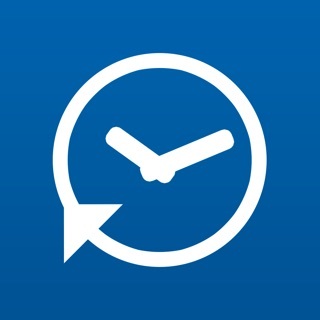 Apart from this a fantastic app. I have not had my phone long and the photography apps are what has impressed me most.